STEP 4: Congrulastion You have successful Reedem your Coupon. Promocodes are valid on Recharges, Bill Payments, Data card, Landline and DTH Recharge. A number can be recharged only 6 times using these campaigns. 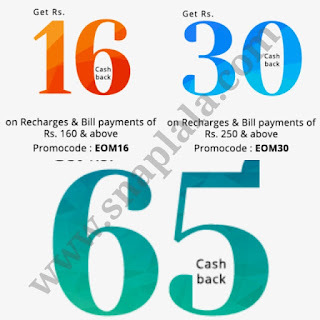 Promocodes are not valid on Airtel Recharges, Bill Payments, Landline and DTH.